‘Lepus Celestine’ 33 x 26.5 cm. 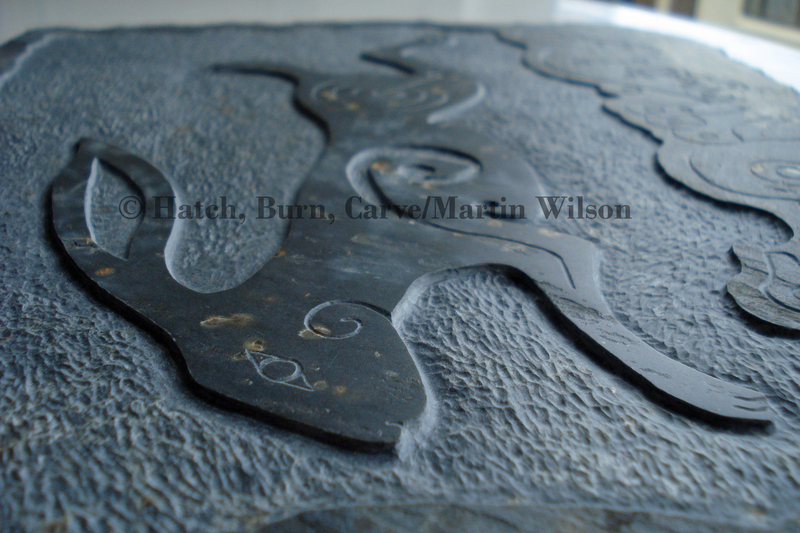 Hand carved from a reclaimed Cornish roof slate (approximately 300 years old). 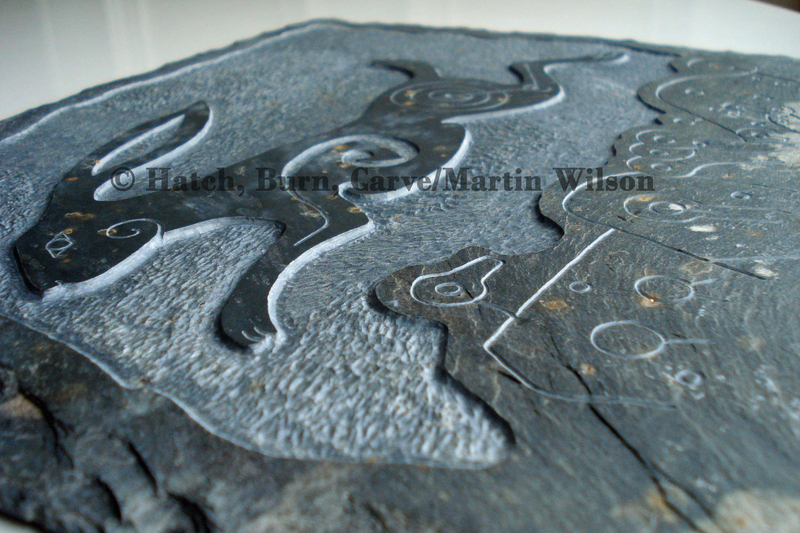 Exclusively designed for Kilmartin Museum Shop. 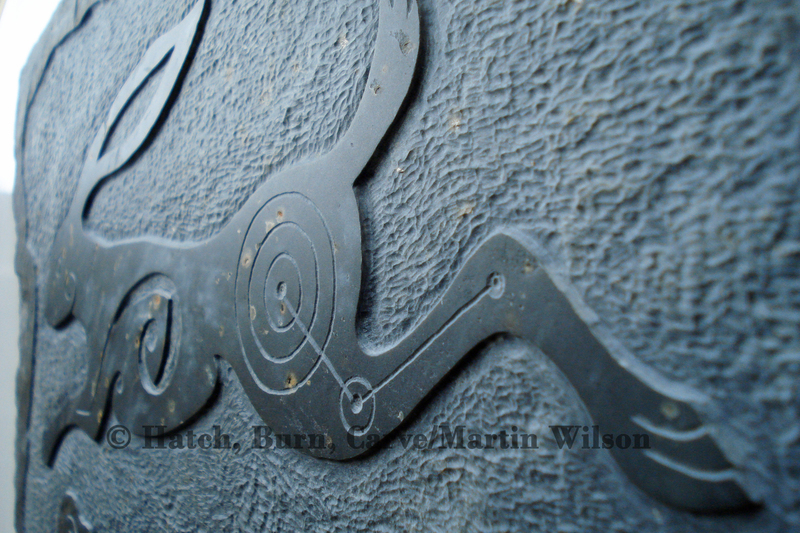 The design is copyright, except for the rock art, which is based on the patterns found at Kilmichael Glassary.